Today we cruised down the most most famous stretch of the Rhine River towards Rüdesheim, passing through the Loreley region, and seeing literally dozens of castles. 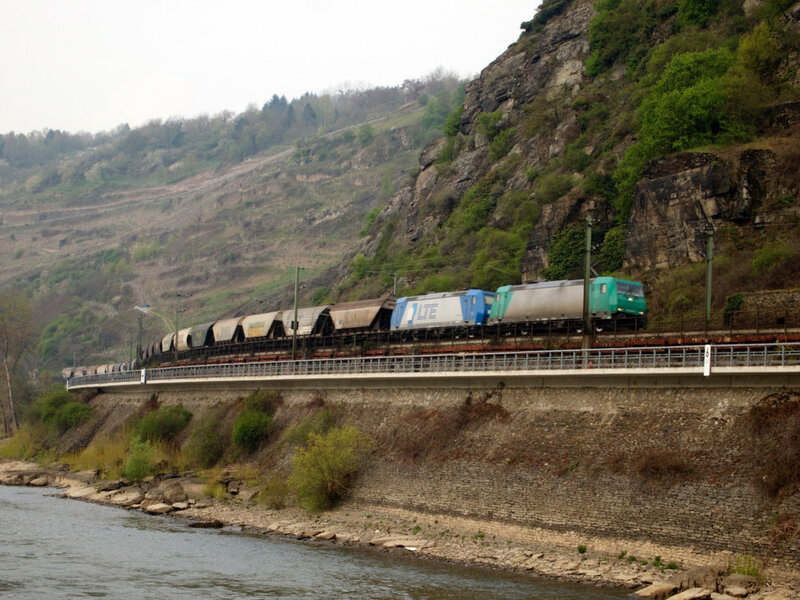 The Gorge stretches about 41 miles between Koblenz and Bingen. It was added to the UNESCO list of World Heritage Sites in June 2002 for its unique combination of geological, historical, cultural and industrial factors. The Gorge itself was carved out of sedimentary rock, mostly slate, leaving the Rhine within surrounding walls of up to 660 feet. The slopes of the Gorge have been terraced for agriculture, particularly cultivating wine grapes, for many years since the soil and weather conditions were favorable. Many small settlements grew along the river due to its use for a trade route, and the cities have remained constrained in size, and maintain their original look and feel -- a mishmash of styles ranging from northern Europe to Bavarian to Rococo. 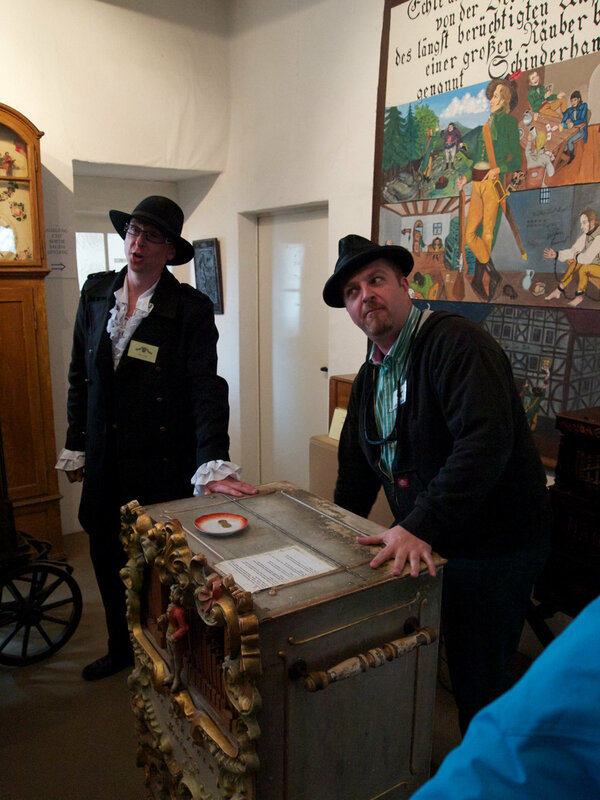 As wealth increased in the settlements, castles and surrounding town walls began to spring up. This wealth made the towns prime targets for overtaking and destruction by the Holy Roman Empire, and during the 30 Years War, a good number of the castles were destroyed. 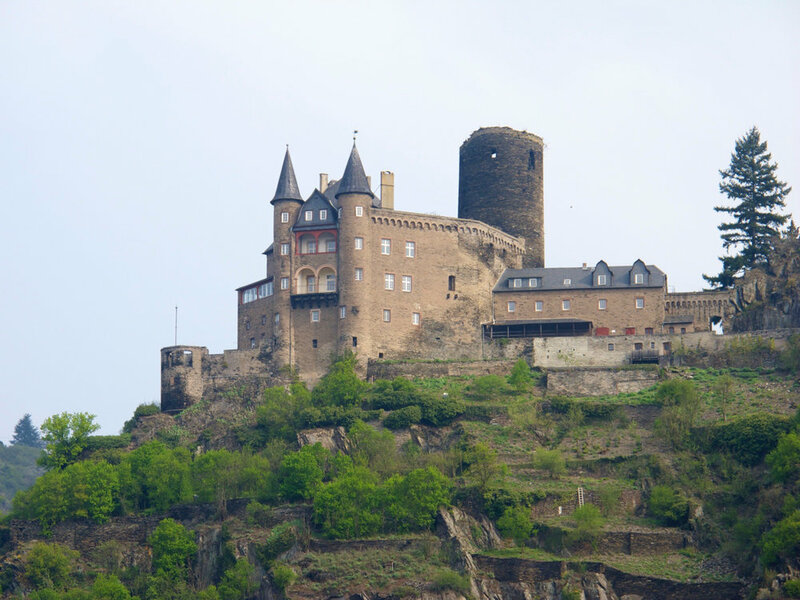 The castles were first destroyed by Rudolf of Hapsburg and the League of Rhenish Cities in the 13th century and then again during the 30 years war from 1618-1648. Louis XIV’s troops hit again in 1689, Napoleon’s in the 1790s, after which they were restored by the Prussians after reunification battles against France were successful. We started the morning with our first MacGeek seminar, which was good, but we could see lots of wonderful scenery behind us through the one open window. We were chafing to get outside into the cold to take pictures. Blessedly, they gave us an hour between classes so that we could see the majority of the castles in the Gorge. It was beautiful, and it was cold. During that time, they brought us Rüdesheimer coffee (laced with Asbach Uralt), and played Loreley, both in German and in English. 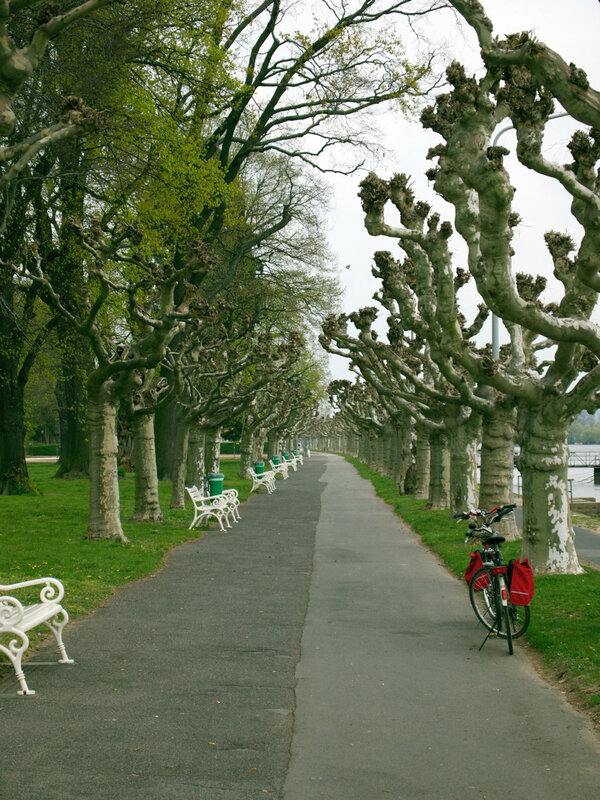 Then it was to the photography class, which was nice - learn how to disobey the rule of thirds and take pictures that are meaningful, playful, and thought evoking. A lot seemed intuitive, but it was nice for concrete examples. 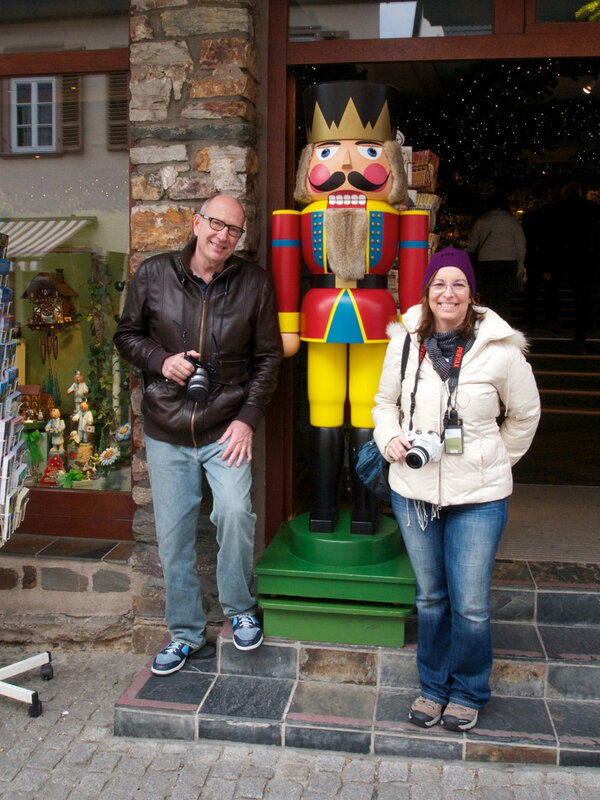 Lunch came and went, and we made it to Rüdesheim. We docked, and at 2:30, caught the “toy train” up to Siegfried’s Kabinett, where we saw lots and lots of musical devices run by wind up key, punch tape, and rolls of little wires. Amazing. We’ll have more pictures after we finish editing! 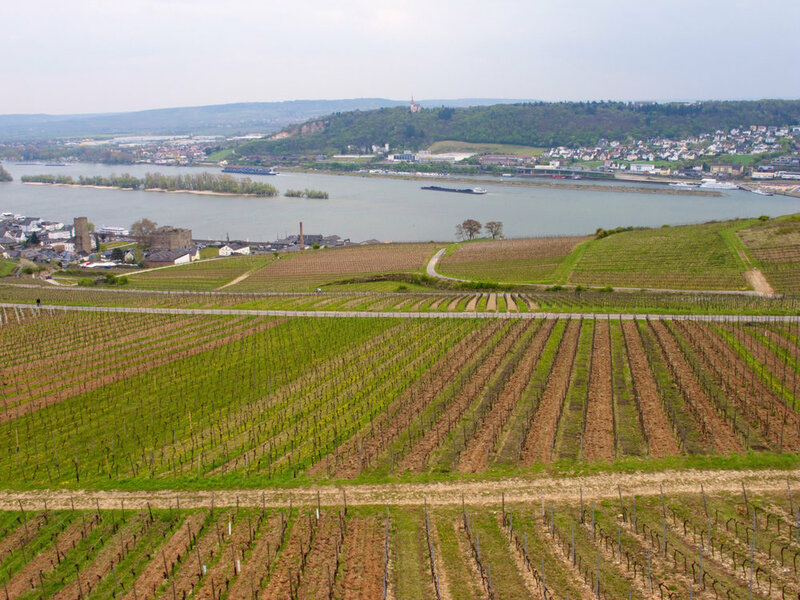 The big attraction of Rüdesheim is wine. There have been numerous conflicts here since its beginning, but this is now the home of German Riesling wine. We went out on the first leg of the wine tasting tour, where we had a Riesling/Cabernet blend, quite surprising. 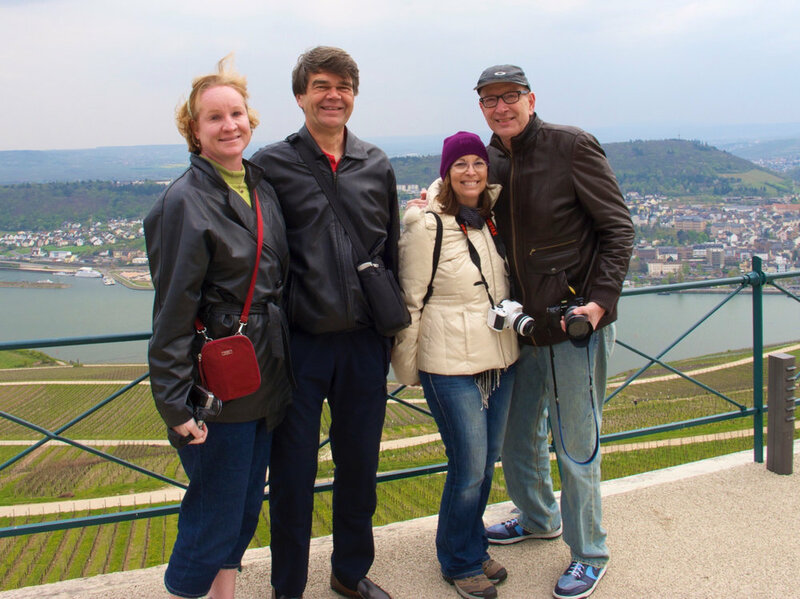 Ivan, Sue, Wayne and I then ditched the group to go on the Seilbahn (sky tram, sort of) up the vineyards. At the top of the vineyards is a monument to Germania, from the 1800s, dedicated to defeating the French as part of the unification of Germany under Kaiser Wilhelm, who dedicated the monument. 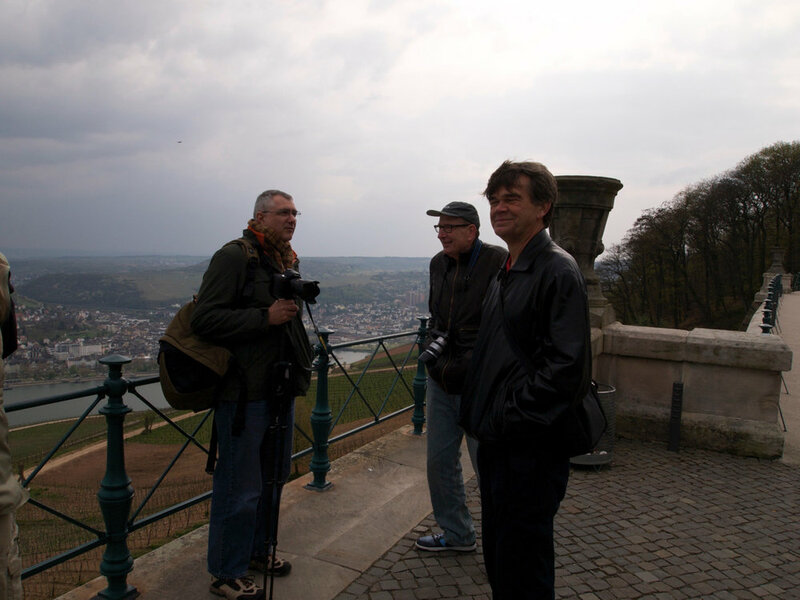 There was a spectacular view of Rüdesheim as well as neighboring Bingen, and much of the Rhine river. We took the sky tram back down the vineyards and walked back through the town to our boat, where there was a pre-dinner cocktail party. German night was good eating! Spaetzle (thank you Sue) and duck leg for me, lots of good stuff all around. Spirited debate ensued, followed by the AmaCello departing for Mannheim (and Heidelberg) tomorrow. So looking forward to returning to the old stomping grounds.